That is one big motherf*cker of a helicopter. I hope it doesn't have the teething problems the E model did. The echo,was savaged in the media near the old Marine base at Tustin Ca where I grew up. The local paper there had a hard on for it. "Rolling out" may or may not mean putting that monster into the air. The ground test vehicle went live on 17 April, but I seem to recall that it won't leave the earth. That beauty in the pictures here may fly soon. Super size pic of EDM 2, that rotor head is rather impressive! Why is the tailplane canted to port? Something to do with a weird torque vector? Does a -53 always go on top?.. Although the prototypes were built with a wide-span, low-mounted symmetrical tailfin, flight control problems led to refitting the second machine with of a distinctive new tail assembly, with the tailfin canted to the left by 20 degrees and an inverted-gull asymmetric tailplane mounted on the right. This change was used in production S-80s. Pah, I'll see your Stallions and Halos and raise you a Homer! Which half of 7 would you remove? CH-53K: oh, what a beautiful beast! :D I will go out on a limb and suggest that Igor his own self would be mightily pleased with the King Stallion. Lets hope they dont try to roll this one ...the last time didn't end well. Amazing machine the " homer" shame only two built, but when the soviet air force says niet you know you have problems! Yep, this is true. 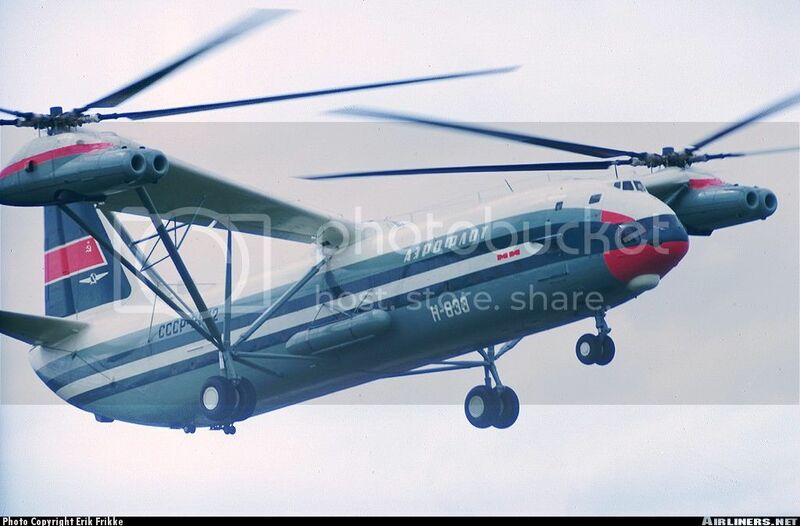 I was lucky to work at Sikorsky in Stratford C.T. from 1987 to 1989. Jimmy Kay was the Sikorsky test pilot who was flying at the time this photo was taken ( I have a signed black and white copy at home) He said that they had a slight vibration @80knts and around 110 knts but everything else was smooth flying. Is that as close as Sikorsky can get to a BERP blade without paying the UK royalties? VX: I'd need to look at some more images of the BERP. Various manufacturers have been messing about with blade tips for decades. I am not sure I see how the blades shown on the K are a BERP copy. :confused: There's a lot going on there, it looks like from the photographs available.